Gift cards. The perfect gift for when you are too busy to go shopping or stumped as to what to get that special someone who already has everything. Sure, they are a pretty cool present to get under the tree or in your stocking, except when it represents a credit at some store where you rarely shop. There is certainly nothing wrong with The Container Store but when is the next time you are going to drop $40 on household storage and closet hangers? Let’s be honest, for every Best Buy or Target gift card, there is always that one relative who slips you a card from a retailer that you rarely set foot in. You are probably among one of the millions of people out there who has at least one or two unwanted gift cards. They are most likely buried in a catch-all drawer in the kitchen or bedroom They are out of mind and long forgotten the second you glued on a fake smile, and said thank you for such a thoughtful gift that you could “absolutely use”. Chances are it has not been seen or heard from since. If so, you are letting good money go to waste in an industry that is worth literally billions of dollars. Gift card sales generate nearly $60 billion. Many analysts estimate that as much as 15% of those cards will never be redeemed. Break that down into real numbers. Then it represents nearly $9 billion dollars in value that goes ignored and unused by consumers. Here is the thing, the retailers are not only thrilled to hear this but they are banking on it. When a retailer sells a gift card, they are secretly hoping the recipient of the card never walks into their store. Unused gift cards are pure profit. This is because when no one comes into redeem them for a product, it looks much better to their bottom line. Therefore, they do not have to honor the card for the money that was already spent with them. When you do not use that gift card, it is basically free cash for that retailer. It is as if you have gone into the store and given the cashier $40. Then you walk back out with a smile and without any goods. However, it does not have to be that way. You can still find plenty of value, even if a gift card that has no appeal to you. There is a wealth of options available to you when it comes to redeeming those unwanted gift cards. You do not have to be part of that $9 billion of unused profit that the retailers are pocketing every year. It is time to step forward and claim something for that gift card. Here are six of the smartest things you can do with your unwanted gift cards. Here are six of the smartest things you can do with your unwanted gift cards. It is the holiday season. There may be no better way to get some value out of those unwanted cards than by donating them to a good cause. You can give someone less fortunate than you a happy holiday. It is a much better feeling than forcing yourself to wander the aisles of some retail store you never visit. Then, you search for something, anything, to choose simply because you have a credit with that retailer. You are probably never going to use those items anyway. Instead of a flat card taking up a little bit of space in a drawer, you will just end having some larger clutter taking up space in your closet or living room. No one wins in that scenario. If you are feeling generous this holiday season and you want to donate your cards, look no further than the various non-profits you can easily find online. There are a number of charities that accept gift cards from, such as Goodwill or Kars 4 Kids. There are many others seeking unwanted cards for literally hundreds of retailers. The great thing about this scenario is that you are giving a donation to a non-profit you trust. 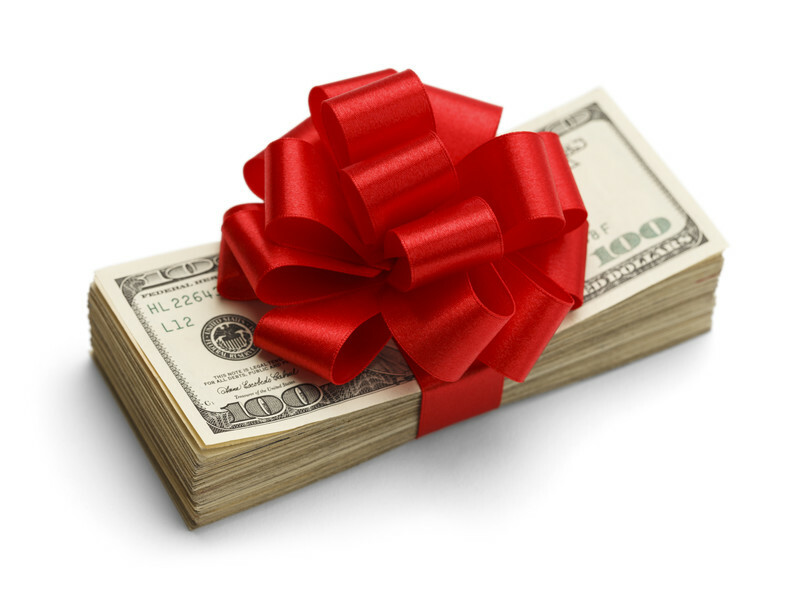 In many cases, you can deduct that gift from your taxes for the year. What do the charities do with the cards? They either pass them on directly to those who could really use them. They also can turn them into charity funds that are put towards helping those in need. These organizations are also ready and willing to take any cards that have been partially used. Maybe you used up the majority of the balance on that Barnes and Noble gift card. Then you still have yet to find anything you want to buy with the remaining $6.52 that is just sitting there. These charities are more than happy to take cards with partial balances as well since every penny helps. The next time you open up that envelope in your stocking and find $30 on a gift card for a store you have never even heard of before, think about those in need and you’ll know just how to use it. Perhaps you would rather enjoy yourself instead. After all, that card was a gift and you should be able to use it to get something in exchange for the card. The good news is you can get cold hard cash in hand for your cards. If that sounds like a good idea then look no further than the Internet to track down some of the many websites that are ready to buy your unwanted cards. But before you go down this road, keep in mind that you will sacrifice some of the value of your card in the transaction. The way it works is quite simple. You can hit up a website like Plastic Jungle or Gift Card Rescue. They offer you almost the full value of your card in cash. It all depends on where the gift card came from. However, expect to receive anywhere from 65% to as much as 90% of the value on your card in cash. They take the guesswork out of figuring that out too. All you need to do is visit the site and it will inform you which cards are worth the most money. Spoiler alert: cards from major chain retailers like Walmart, Target, and Best Buy will get you the most money. Stores that are less popular or more regional garner less of a payout. Yet, if that card has been sitting forgotten all this time, any dollar amount is better than nothing, right? You also have some influence on how much you can receive for your cards if you know when to sell. The secret to getting the maximum payout on your gift card is to put it up for sale on one of these sites. It is best to do it at a time when the demand for these cards is at its peak. With the holidays coming up, the time to strike is now. That is because afterward, everyone will be trying to sell the cards they received and did not want. Therefore, the market will be flooded. Additionally, getting your money is often fast and simple. A majority of the sites will pay you up front before your card sells to someone else. They take possession of it when they pay you and it is up to them to resell it. You might need to wait week or so for your money to arrive based on the method you select. The good news is that you can get paid by check. You also can get a direct deposit to your PayPal account, or have the balance applied to an Amazon gift card. That one probably will not go unused or unwanted during the holiday season. Best of all, many of them will pay for you to send your card to them in the mail. You will not have to pay any fees for selling your card. Swapping your unwanted cards is also a good way to get value for them. Many of these same websites and some others will offer you a trade in alternative gift cards to other retailers in lieu of a cash payout. You can get creative about which cards you receive too. The process works in much the same way as turning them in for cash. Certain cards are worth more. Thus you can get higher-value cards in exchange for those from in-demand retailers. If you only own a collection of cards that are worth less you, might be able to trade them all in for one card you really want. It all depends on the site. Since there are so many websites out there to choose from, you may want to do some comparison shopping first. That is because some of these places have explicit restrictions as to the types of cards that you can swap for others on each site. For example, some of these gift card swapping websites will not accept cards that have an expiration date. Plus, many of them refuse to take cards that have a partial balance. The card must still have the full value to be considered for a swap. That means you can’t include any partial balance cards in a package deal for one higher-value gift card if you wish to propose such a transaction. Every card must have the value that is printed on the front of it. There are some other limitations as well. Cards that have your name on them either printed or by way of a signature will not be eligible nor will any cards that are damaged or appear used in any way. You also want to be aware of any transaction fees that might apply to swapping on these sites. Some of them might charge a percentage of the value of the card or cards you want to swap out. That might be as much as 25% with some of these sites. Be sure to check out all the fine print first. If you are not happy with the offers you get from any of the sales and swap sites, there is always eBay. 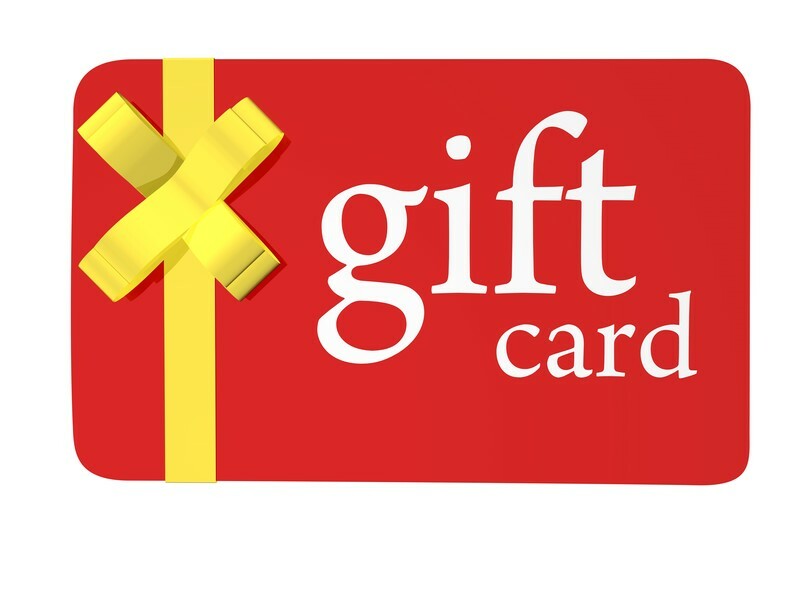 Putting your gift cards up for auction might yield you a cash value that you are looking for on your unwanted gift cards. This process might take longer depending on the length of time you set the auction. It’s usually quicker if you add a “Buy it Now” option to your listing. That gift card you received is not something that you think you can use. However, it is possible that you know someone else who may want it since it is the holiday season. Pass it along! Of course you need to be smart about it. It is best to be careful that the person who gave it to you does not find out, though that might be important too. There are a few things to be sure about so the gift card is not obviously a re-gift. First and foremost, be sure that the full amount is still on the card. You do not want to hand out a gift card with a balance of $29.15 when it says $50 on the front. Second, you need to be sure that the PIN information has not been scratched away. That should still be intact. Otherwise, it will be blatantly obvious you are giving someone a gift card that did not originate with you. Simply put, the gift card needs to appear brand new. If not, your recipient is going to know you are passing along something that you could not use. However, you may have a Victoria’s Secret gift card that you can’t use. Maybe you may only know one or two friends or loved ones who would find such a thing appropriate. You are definitely not giving that to your kid’s fourth-grade teacher. The same thing goes for giving a Buffalo Wild Wings gift card to your vegetarian friend. It might not be well-received. We have already determined that you may not be able to use these gift cards and you are not keen on re-gifting them for whatever reason. That does not mean you still can’t get some value out of them. It is the holiday season. Therefore, you still need to go shopping for everyone on your list. You should do just that. You can use your unwanted cards to buy gifts for others. You may not find much use out of those cards. Yet, chances are you will be able to find a collection of items that you can buy to check friends and family from your shopping list. You may need to get creative, however. That is where the challenge comes in. Maybe your gift card is for some place that you really do not shop. Perhaps you do not have anyone to re-gift the card. In those cases, your task may be tougher than expected. Let’s say you got a Home Depot gift card and you do not know anyone handy enough who would appreciate it. Go in anyway and start roaming the aisles. Chances are you will locate at least a few items that will not seem strange and out of left field to be given as gifts. The trick is to think outside of the box. While it may be a challenge, you may find you have accomplished more than you anticipated in the first place. If all else fails, pick up a Christmas tree for the house. The money you would have used for that can now be applied to presents for everybody else! Remember, these cards still have cash value. Using them to buy for others is not only a great way to get rid of the cards but it takes care of your holiday shopping. This will help save money too since you are using the balance on your unwanted gift cards for gift-giving. It is also a smart solution for those cards that still have a partial balance on them. Do not let that $9 just sit on your card. Put it to good use this holiday season, or you may be able to redeem it for cash. This one is a bit tricky depending on the state in which you live. There are laws on the books that allow you to get physical cash back for your gift cards from the retailers directly. Up until 2009, there were not many consumer protections in place with respect to the regulations of gift cards. However, that all changed when Congress passed the Credit Card Accountability Responsibility and Disclosure Act (CARD Act) in 2009. The CARD Act was designed to put protections on credit card use in the United States. It also extended to implementing certain restrictions on expiration dates of gift cards. Also, any inactivity fees that the retailers were charging customers in a bid to squeeze more money from gift card sales. Congress also included provisions that governed cash redemption on the cards. Every state has different by-laws in place and you can’t redeem the full value from the card either. In fact, this mainly applies to cards with remainder balances on them in which you may not have the opportunity to spend that small amount that is left. There are now laws on the books that dictate how you can redeem your gift cards for the small amounts of value that may still be contained within. Nonetheless, you need to be sure to check the regulations in your particular area. For those of you who live in California, the regulations on gift cards are the most liberal in the country. California Civil Code Section 1749.45 states that any gift card that has a balance of under $10.00 is eligible for redemption as cash from the retailer. Retailers are mandated to give you a refund in the exact amount. There are other states that have similar mandates. However, they are more restrictive in what you are able to receive and under what conditions. Colorado, Maine, and New Jersey will allow you to redeem your balance on a gift card under $5. To redeem your card for cash in Massachusetts there are limits that go a bit further, the card must have less than $5 on it and that balance must be no more than 10% of the original balance. So if you have $4.99 on your gift card but the original value was $20, then your card wouldn’t be eligible. Montana has a similar law on the books where the card balance has to be less than $5 but the value must be more than $5. Using the same example above for Massachusetts, your card would be eligible. If you live in Rhode Island or Vermont you will not get much for your cards since you can only redeem them for a remaining balance under one dollar. Washington’s law is also quite restrictive in that you can redeem the card on a balance under $5. However, that is only after a purchase that brings the balance beneath that amount. Oregon is similar to that. Redemption is only after a balance under $5 and a purchase reducing it to that amount. If you live in any other states not mentioned above they may not have any specific policies regulating gift cards or may not allow cash refunds. Gift cards can be a great gift idea this holiday season. Yet, if you receive one that you just will not be able to use, there are options to make sure that you get at least some benefit out of it. You just need to be smart about how to accomplish that and this guide should give you all the information you’ll need to make it a happy holiday after all.